We are pleased to announce the newest addition to our family: our South San Francisco dental office! It’s been some time since our last post, but our staff and doctors have been hard at work…treating our lovely patients, as well as growing! Over the summer, we acquired an office just south of our downtown San Francisco location…in South San Francisco. You can read more from the wonderful retiring dentist here. Now that we are official South San Francisco dentists, our team will do everything we can to make our new patients feel welcome to our office, and secure in their dental health. We’ll introduce our new team members soon enough, so stay tuned. 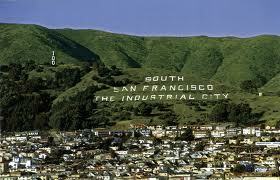 In the meantime, come visit us at 1241 Mission Road, South San Francisco, CA 94080. Or call us to schedule an appointment at (650) 588-3710.